Chania International airport is situated near Souda Bay on the Akrotiri Peninsula on the northern side of the Greek island of Crete. 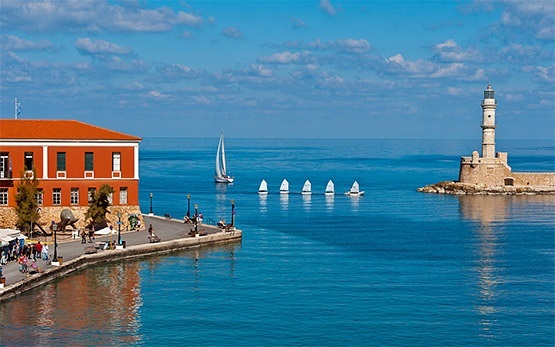 Officially known as “Ioannis Daskalogiannis” International Airport, it is located 14 km northeast or about 20 minutes’ drive from the city of Chania. Chania аirport is the second busiest airport on the island of Crete and hosts domestic flights mainly to and from Athens and Thessaloniki, as well as number of direct charter flights from Europe between April and November. 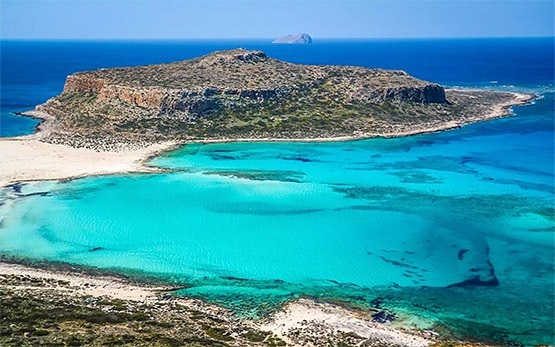 It is an important gateway to western Crete for an increasing amount of tourists from countries like United Kingdom, Germany, Russia, Bulgaria and Scandinavia during the summer season. 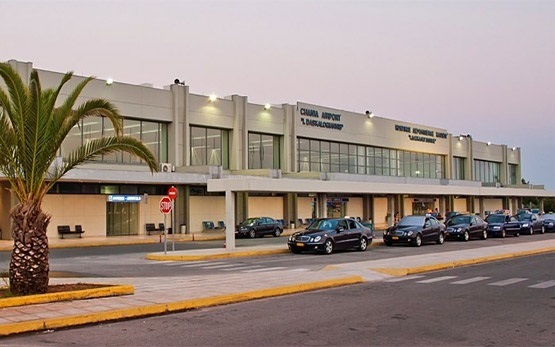 Chania International airport handles approximately two million and a half visitors annually reaching a traffic of 2 500 passengers per hour in the busiest months of July and August. Currently, there is an undergoing modernization of the airport including building of new passenger building and new control tower. Ioannis Daskalogiannis Airport at Chania can be easily reached by a rental car, motorcycle or scooter via the main road network. A motorbike or scooter rental is the best way to explore the intriguing island of Crete, because it gives you the freedom to reach the most secluded of beaches which abound here, or to enjoy at the fullest the marvelous gorges in the mountains. Plus motorcycles or scooters for rent are easy to manoeuvre and park in the narrow streets of the old Cretan towns. No wonder hire motorbikes and scooters are the most popular way of transportation in Crete. Pre-book your motorcycle or scooter rental in Crete from Chania airport with Motoroads to enjoy the independence and privacy of exploring Crete's stunning beaches, great historical sites, diverse landscape with some spectacular curvy roads for motorcycle enthusiasts crossing through mountain ranges dotted with caves and sliced by dramatic gorges that spill out to the turquoise blue sea.